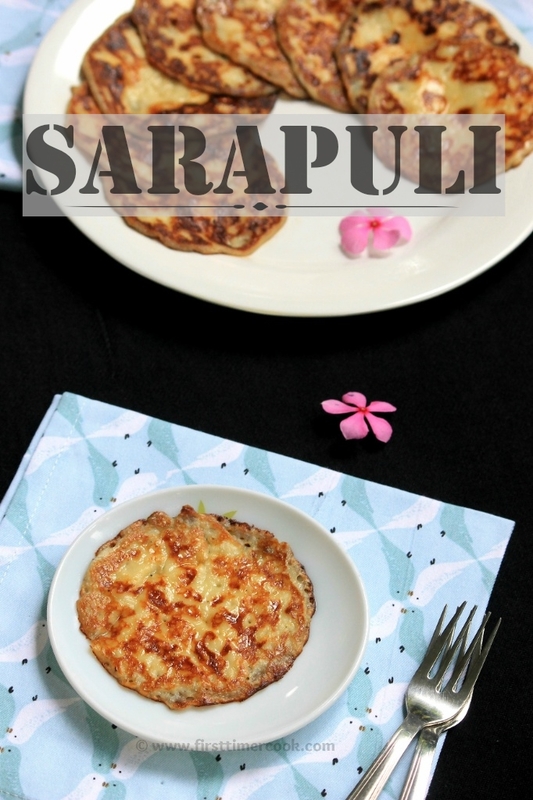 Sarapuli - a cardamom syrup-drenched pancake made out of cream or sara. Mahaprasad is the term applied to the 56 offerings offered to Lord Jagannath in the holy temple of Puri, located in Odisha state of Indian subcontinent. This famed Jagannath temple has one of the biggest kitchen in the country. Around 500 cooks and 300 helping hands prepare 56 different offerings for Lord Jagannath. Then those are served to the deity six times a day as gopal vallabh bhoga, sakala dhupa, bhoga mandapa bhoga, madhyanha bhoga, sandhya dhupa, bada singhara bhoga. Among all the offerings, 'sarapuli' is offered as badasinghara bhoga (last offerings in a day) along with some other items. The odia word 'sara' means cream. 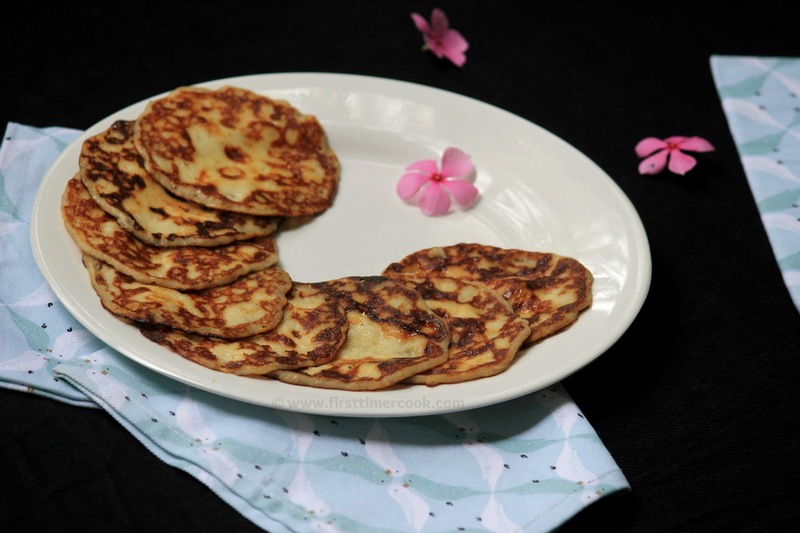 These are basically small pan cakes prepared entirely with milk authentically. Cream part of the milk and the thickened milk mixed together to make small pancakes which are then drenched in a cardamom syrup. 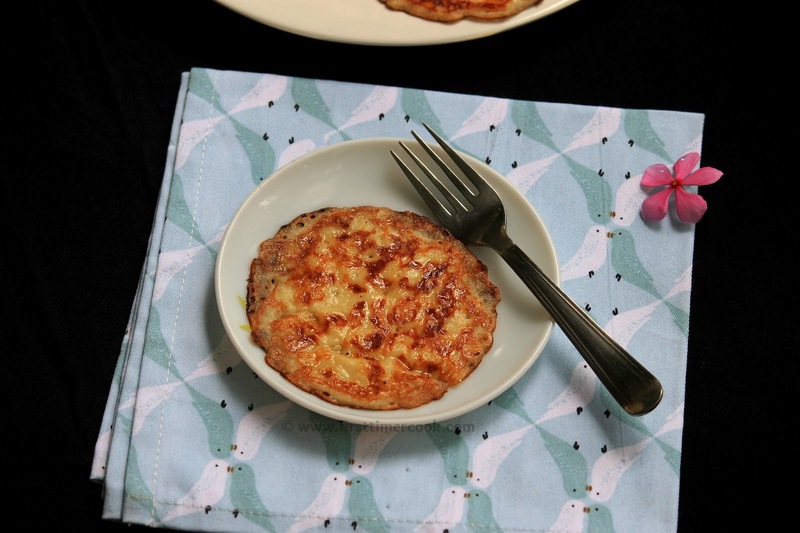 Sarapuli is much delectable melt-in-mouth type dessert. Here I have added some all purpose flour to the creamy pancake batter since the pancakes are so delicate and can easily brake while cooking. Take full fat milk in a heavy bottom pan and starts boiling on low-medium flame. A layer of cream (sara) will form on top of the milk. Take out that cream part and keep in a bowl. Continue the boiling process again and collect cream until 1 cup of cream (sara) is collected. Keep aside the cream bowl to cool down completely. Now in a saucepan boil sugar and water till sugar dissolves. Then simmer to get 1 string consistency sugar syrup. Switch off the flame and add cardamom powder. Keep aside. By the time, cream must be cooled down completely. Now in a mixing bowl take cream, all purpose flour and condensed milk. Mix very well so that there will be no lumps and mixture will be of a smooth consistency. Next heat 1 tsp ghee in a nonstick pan on medium flame. Pour 1 small ladle amount of mixture on center of pan and allow to spread by its own. Cook till little firm, then carefully flip (as it is so soft hence tends to break) and again cook the other side till light golden brown in color. Take the pancake out of the pan and dip in sugar syrup for 4-5 seconds. Then carefully take the pancake from the sugar syrup as it becomes more softer and keep aside. Similarly prepare all the pancakes (sarapuli) from rest of the cream mixture. Serve warm or cold ! If the sarapuli (cream pancake) breaks while cooking every time, then just add 1 tsp more all purpose flour to the cream mixture.